Fish in a bath thing which eat your dead skin? No thanks! Almost cannibal like. If it had been a tank full of humans, eating the dead skin off your feet, then yes I doubt it would be as popular. But little fishies? Cannibalism, it ain’t. awww how cool is that. 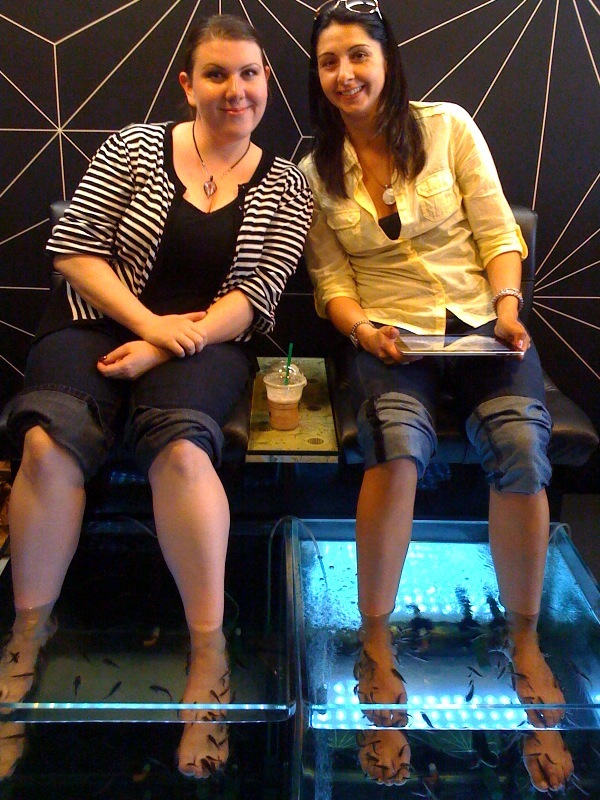 the first photos would not display but the video is priceless: really gives an idea of what the fishicure is like. feet in bubbles of champagne? yes please. I would so want to have that done. shame it was only in London. Film would have been even more hilarious with Mr L hehe. Heading to London at the end of October…..book me in for one of these babies….I’d love to try it!!! I would hate that! I’m so afraid of fish! Omg just the thought of doing this makes me feel all squirmy! Lol! Well done for going ahead of it! You’re braver than I am! I would totally get one of these if they were available in Canada! How cool! Thanks so much for the post! She said that it was “bizarre” “weird” exactly as you put it but not overwhelming gross to her, and the results weren’t astounding. wow this sounds so fun but I am so ticklish :S You look lovely girl! 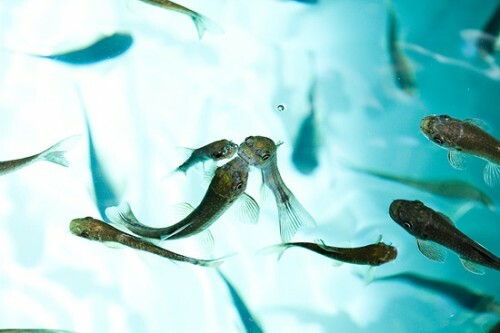 That video was so disturbing, when the fish swarmed. ICK. I don’t think I could handle that but it looks like quite the experience for someone’s birthday present or something hahaha. It was one of the funniest things I have ever seen and I have to be honest, made me crush like mad on him. 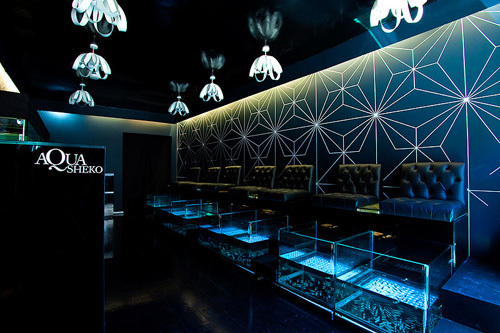 The place looks great, as for the actual pedicure, I guess that one would have to try it first…!